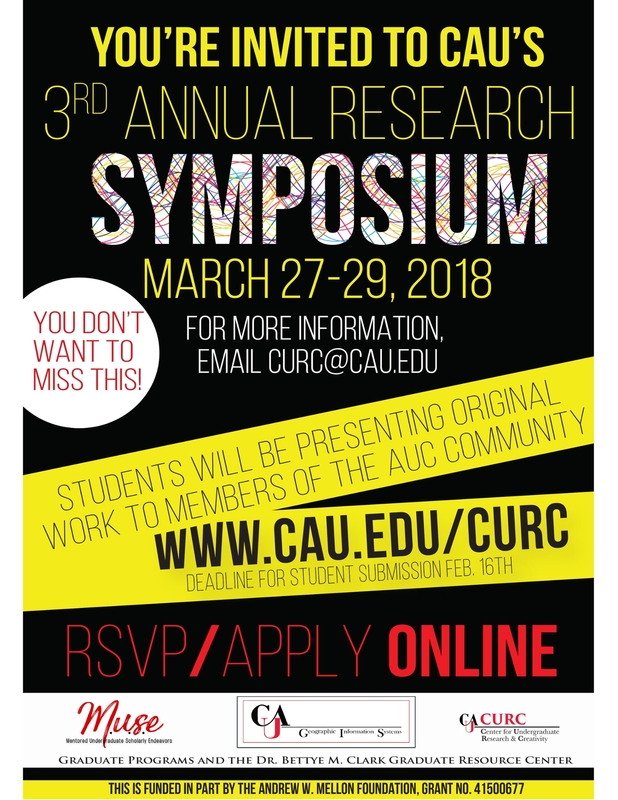 The Center for Undergraduate Research and Creativity is very excited to announce that CAU’s 3rd Annual Undergraduate Research Symposium will be held March 27-29, 2018! All students from all disciplines are encouraged to participate. Deadline for students to submit their abstract is February 16, 2018. Students will have the opportunity to do a poster, an oral, or a creative work presentation to members of the AUC and Atlanta community. Participants will receive t-shirts and food and have the opportunity to win a cash prize. The CURC will also print student posters if needed.